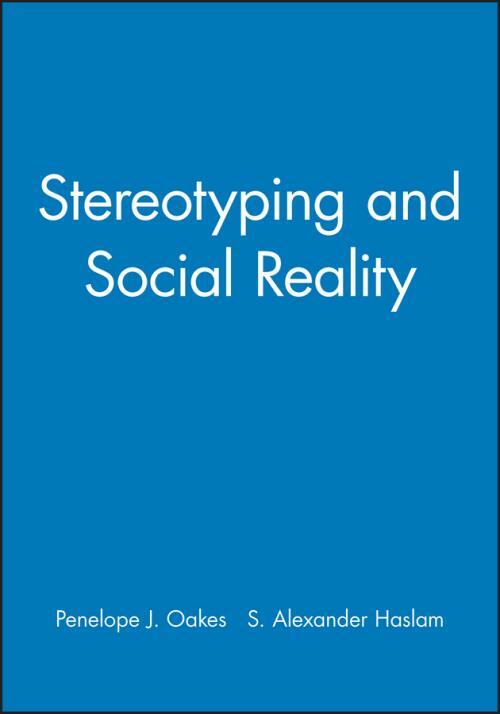 Stereotyping and Social Reality combines a comprehensive review of the field with a new theoretical perspective. Stereotyping is an issue that lies at the heart of social psychology, and our understanding of the stereotyping process has implications for many general issues, including social cognition and perception, group processes, intergroup relations, prejudice, social conflict and cooperation. The book is organised around a theme which has always been the central issue of stereotyping: what is the nature of the relationship between stereotypes and the features of the social world that they purport to represent? Is it true that stereotyping necessarily involves a perceptual or cognitive distortion of social reality? Most students (and many other researchers) embark on the topic with the assumption that in stereotyping the perceiver activates fixed images (eg: ′women are passive′, ′the French are arrogant′) which both reflect and bolster prejudice through the misrepresentation of people′s ′true′ character. This book aims to challenge this view and, in doing so, it presents a significant new theoretical analysis of stereotyping based on research the authors have been conducting over the past decade. At the same time, the book offers a comprehensive review of previous research on the topic, including the often neglected but fascinating work carried out in the years before the modern cognitive approach was developed. Stereotyping and Social Reality will therefore be of interest to a wide student audience as well as to researchers in the field. 1. Introduction: The Social Psychology of Stereotyping. 2. Early Approaches to Stereotypes and Prejudice. 3. Stereotyping as Information Processing Error: The Cognitive Emphasis. 4. Cognition and the Group: Social Identity and Self–Categorization. 5. Categorization, Selective Perception and Stereotyping: A Critical Re–Examination. 6. The Social Contextual Basis of Stereotypic Accentuation. 7. Outgroup Homogeneity and Illusory Correlation Revisited. 8. Politics, Prejudice and Myth in the Study of Stereotypes.